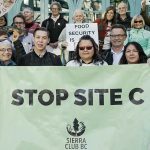 With a decision on whether to complete or cancel the Site C dam imminent, Sierra Club BC calls for the provincial cabinet to consider its impacts on downstream Indigenous communities. The government was elected on promises of reconciliation and implementation of the principles of the UN Declaration. “Site C threatens the land, waters and resources of downstream Indigenous communities with permanent, extensive and irreversible harm,” said Armstrong. “It’s easy to spout the rhetoric of reconciliation and rights, but now those words are being tested by a very real choice. “This government cannot simply push title and rights aside when they are inconvenient. If it is serious about its commitment, there is no choice but to cancel Site C.
Site C would impact hundreds of culturally significant sites and important hunting and fishing grounds in the Peace River Valley and would threaten water flows downstream in the Peace-Athabasca Delta (protected by Wood Buffalo National Park) upon which the Mikisew Cree depend. UNESCO’s World Heritage Committee has called upon Canada to conduct an assessment of Site C’s impact on Wood Buffalo National Park, a World Heritage Site. 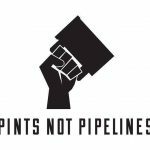 When the need for reconciliation with Indigenous communities is combined with the threats posed by the dam to vital farmland, the impact on wildlife and ecosystems, the horrendous cost to Hydro ratepayers and the dramatic reductions we have seen in the cost of renewable alternatives, the balance is decisively tipped in favour of cancelling Site C.
Ninety-four per cent of the province is designated public Crown land; much of this is unceded territory, subject to Indigenous title and rights. Reconciliation for historical wrongs is necessary and important and any plan for our common future must recognize and address the province’s painful shared history.